2019 schedule coming soon. See below for the 2018 schedule. Modern supply chains and e-commerce depend on last-mile logistics, but this rapidly expanding concept comes with unique challenges. Future Transportation North America, a newly-established division of Mercedes-Benz Vans in Silicon Valley, is tasked with building innovative solutions to meet these demands. This plenary seminar will take attendees inside the cutting-edge research and latest advancements in technology that are transforming the van into a modern logistics platform. 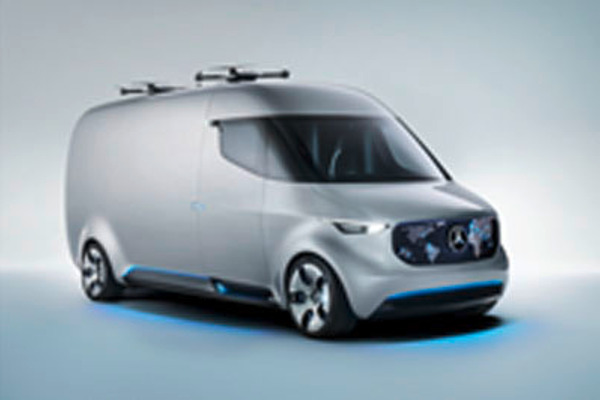 In this seminar and in an afternoon product demonstration, Mercedes-Benz Vans will reveal for the first time in North America game-changing technology — an intelligent cargo space that leverages artificial intelligence to automate the last mile, bring greater transparency to fleets, and improve overall efficiency. Whether 10 years or 25, we won’t wake up one day in a world of driverless cars. It’s going to be a gradual process, with plenty of disruption and opportunity along the way. Right now — not tomorrow — the systems are forming around autonomous vehicle use as a service: how they’ll be hailed, tracked, serviced, domiciled, in-fleeted, and de-fleeted in a financially sustainable model. 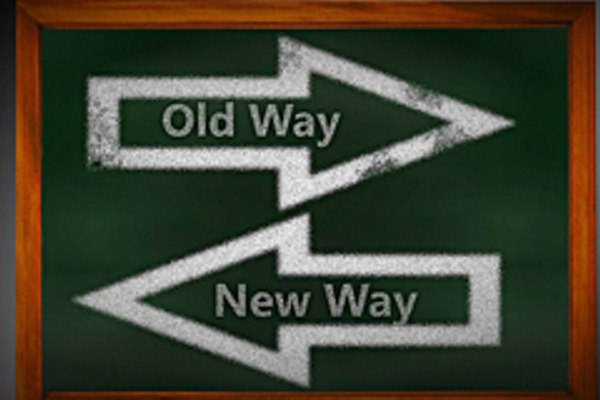 As a fleet owner or manager, what new processes and partnerships should you be investigating now to poise yourself as a provider of the future? This plenary panel seminar will help you begin forming your autonomous strategy today. TEK Talks explore a specific technology to help end users achieve the big picture results. From new tech to new regulations to a nationwide driver shortage, the fleet industry is undergoing an unprecedented upheaval. What must legacy fleet businesses do to keep up with — or even get ahead of — the astonishingly fast rate of change in the industry? In this session, attendees will understand the value in alignment with industry disruptors as a strategy to retain market relevance. 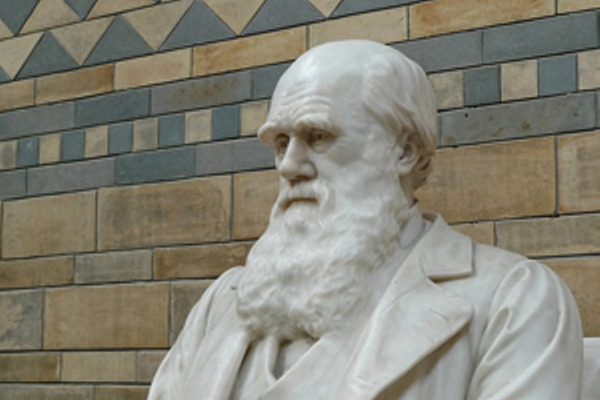 As customer demands become increasingly complex and branch into territories like ridesharing, mobile wallets, and autonomous vehicles, the big guys must think like Darwin — adapt or buy. Presenter: Carlos Escobar, WEX Inc.
Consumer carsharing technologies are migrating to business vehicle use, and they promise to reduce fleet count and overall fleet spend — while evolving the assigned driver-to-car model into a broader shared platform over time. But sharing fleet vehicles requires rethinking aspects of the traditional model, as well as careful planning on how to apply the technology, manage driver acceptance and onboarding, optimize utilization, administer bookings, and harvest the data. Using working case studies, this panel seminar will dive deep into ideal use cases for sharing and then present a blueprint for implementation. Campfire sessions are intimate and focus on conversation rather than projecting content and information. The leader(s) will speak for about 10-15 minutes on their topic and then foster a group discussion for peer-to-peer learning for the remaining session time. With automakers’ aggressive rollout of new electric vehicle (EV) models and the exponential growth of charging infrastructure, fleets are ready to consider EV adoption. However, range anxiety, battery life questions, and an unformed wholesale market for EVs has up to now made defining ownership costs – and thus ROI – an elusive endeavor. This seminar will explore the electrification of passenger vehicle fleets in-depth through actual case studies, including the firsthand planning and implementation process for a large corporate fleet. Discussion points include model selection, infrastructure development, technology considerations, lifecycle analyses, driver education, and more. Of course, not all solutions fit all fleets — this seminar will help attendees understand the “what, where, and how” of electrification for them. From paper forms, spreadsheets, and emails to telematics, smartphones, and web-based metrics: This discussion will dive into the process of transforming a motor pool into an integrated carsharing solution through an actual use case with a large county fleet. The benefits are considerable — more efficient and transparent vehicle use and avoiding vehicle replacement costs of more than $1.7 million, in this case. Yet this process depended on organization-wide resources applied to management buy in, technology execution, driver education, systems integration, and data analysis to realize efficiencies and savings. Come hear how the challenges were met and learn what technologies could help right size your fleet. A new type of fleet owner is emerging to serve new markets such as commercial rentals to Uber and Lyft drivers and retail rentals through peer-to-peer platforms. Entrepreneurial and tech-savvy, these fleet suppliers are renting 20, 200 to 2,000 vehicles outside of the traditional model. In this New West of rental, the sweet spot to profitability depends on understanding depreciation, insurance, financing, and liability considerations for high utilization and high-mileage vehicles. Come see how it all works. Fleet management began with the first commercial use of vehicles. The fleets of tomorrow will need to be managed too, only this need will grow exponentially as vehicles move from ownership to access through Mobility as a Service (MaaS) platforms. Enter Fleet Management as a Service (FMaaS) — the backbone of MaaS. As we get closer to autonomy, FMaaS providers will manage the in-fleeting, insuring, maintaining, rebalancing, and remarketing of these vehicles, as well as provide the interfaces between owners and end users. In this seminar, Avis Budget Group will share its vision for the FMaaS potential through data and learnings from its management of the Waymo fleet and Zipcar to its Avis mobile app, Mobility Lab in Kansas City, and thousands of connected vehicles. This campfire discussion explores the inner workings of an EV carsharing network, from startup and implementation to daily fleet management, client acquisition, and more. The operators will discuss their philosophy behind their modelplans for a broader public use network serving non-profits, cities, municipalities, and utilities. “I still can’t get my drivers to fill out a personal use log, and you’re asking me to transform into a ‘mobility manager’?” Fleet managers are increasingly feeling the pressure to rethink their processes based on the disruption in the transportation sector. But why change when we all know that autonomous vehicles aren’t coming soon? In this interactive format, our presenters will take roles and dig into both sides of the mobility debate. No agenda here, just straight talk on the issues facing fleets moving forward. Audience participation is essential! Carsharing is spreading from its roots in retail to include various business uses as well as hybrid models for both business and personal use. Corporations are using carsharing opportunistically to mitigate fleet costs and replace fleet use where it makes sense. Based on the latest data, attendees will understand how and where this concept is gaining traction in fleet. Fleets are under increasing pressure to become greener, even in the face of budget cuts. There are more opportunities than ever before to replace traditionally fueled vehicles, but implementation isn’t easy in an ever-changing market. A representative from the Federal Law Enforcement Training Centers’ Fleet Management Office will dive into its sustainability initiative, which includes implementation of alt fuel and alt power vehicles. The seminar will discuss considerations around fueling and power infrastructure, lifecycle analyses, vehicle model considerations, driver education, data analysis, and more. Not a theory, this case study will give fleets a pragmatic view of what works — and doesn’t — in the real world. Presenter: Noah Kindler, In Charge of Internet of Vehicles and Blockchain Technologies, Evelozcity, Inc. Consider your back-end fleet operations: How many layers of staff, phone calls, and emails are required to complete many daily tasks? In today’s new mobility space — and as fleets grow in complexity — correcting these inefficiencies is essential. This seminar will share the concepts behind “programmatic fleet management,” including how to implement a comprehensive fleet servicing toolkit and a single virtual vendor marketplace, and more. Attendees will walk away with strategies to eliminate manual processes, increase transparency, and boost their fleet’s bottom line. In 2013, the world was divided into a grid of 3 meters by 3 meters — 57 trillion squares, actually — and each has been assigned a unique 3 word address. This new global location technology is already being used in a variety of work applications, from facilitating time-critical deliveries to rural businesses and delivering machinery to a specific point in a vast work site, to finding the right loading dock on a large corporate campus. Come join the discussion to explore actual use cases and the potential for further efficiencies in transportation and logistics, last-mile deliveries, and other fleet-related activities. From shared fleets and ride hailing to the gig economy and “grey fleet” demands, emerging workforce mobility models are creating new challenges and opportunities for the management of risk. At the same time, accidents caused by distracted driving have reached epidemic proportions, creating an unsustainable market for fleets and insurers alike. This seminar will dive into the bleeding edge of risk management for fleets, from the latest in usage-based insurance (UBI) and big data harvesting to Internet of Things (IoT) applications and the role of insurance in an autonomous environment. Attendees will learn how new tools can be harnessed to reduce cost, mitigate risk, and drive operational efficiencies. Directly after the close of Fleet Forward Conference, event sponsors are welcome to meet on the rooftop to debrief this year’s event. We’ll share what went well, where improvements can be made, ideas for next year, and how we can collectively work together to advance mobility solutions in fleet. Download the mobile app and get connected! 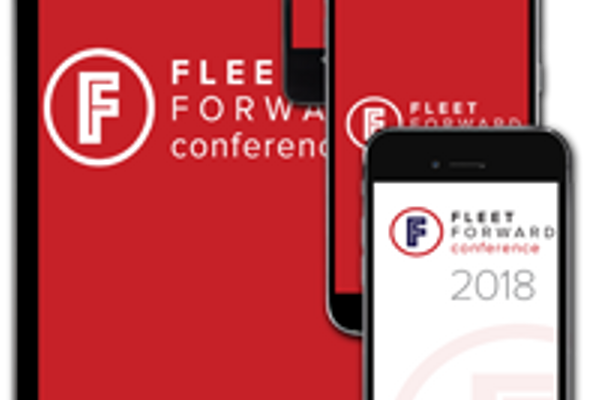 © 2019 Fleet Forward Conference. All Rights Reserved. Produced by Bobit Business Media.